Liam Craig admits his latest European qualification with St Johnstone means even more after the Perth club rescued his career two years ago. Craig left Saints for Hibernian in 2013 having just sealed their second consecutive Europa League place and Tommy Wright's team continued their success without him. But the midfielder suffered relegation with Hibs and feared his full-time career in football might be over after being released in 2015. However, the 30-year-old returned to St Johnstone and helped them back into Europe after a year's absence with victory over Partick Thistle on Saturday. "Personally for me it's brilliant," he said ahead of Wednesday night's visit of Hearts. "Two years ago when I came back I just wanted to help the club continue the success it had had the two years when I wasn't here. "So to help the club finish fourth two seasons in a row and to qualify for Europe off the back of it is something I am going to really look forward to and enjoy. "Sometimes you can take it for granted but two seasons ago when I was struggling to find a club, you are just dreaming of coming back and having days like we had on Saturday. Two summers ago I didn't know where I was going to be playing my football, if playing football at all. "The phone stops ringing. And it's funny because I played golf with the manager at the start of that summer, and he told me the phone would not ring for the next three or four weeks because no one was doing any business, everyone was away on their holidays. "But when you are needing a club it's frustrating. The only thing I had was a part-time contract in the Conference in England, which was a good contract, it was a lot more money than I signed here for, but I wanted to stay playing full-time football. "Apart from Peter Houston at Falkirk and James Fowler at Queen of the South offering me training facilities, it was a case of never mind getting a contract but I couldn't even get in anywhere to train. "But it was actually the club being in Europe that actually helped because they were in Europe and got a few injuries, which opened the door for me to come back in. "The manager has shown that faith in me and I am just glad I can repay him with my performances and the results the team have been getting." 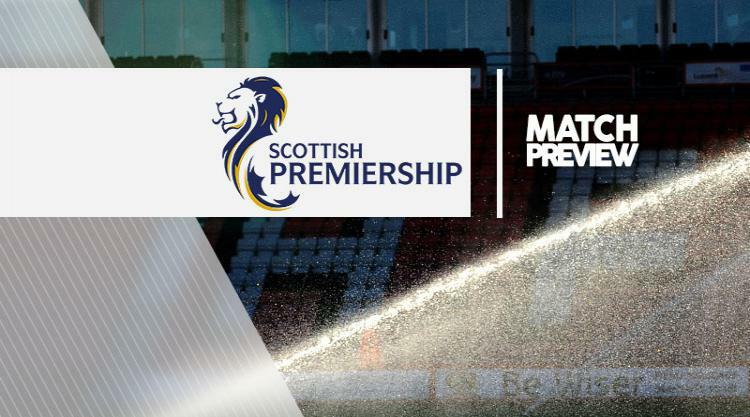 Craig recently signed a new two-year deal and Wright is aiming to tie up the likes of Tam Scobbie and Alan Mannus before the close season, given Saints will begin their European qualifiers on June 29. Skipper Steven Anderson is back from suspension and Chris Millar (groin) has resumed training, while Tommy Wright may rest players after they sealed fourth spot on Saturday. Murray Davidson has undergone ankle surgery and will be back for pre-season training while Keith Watson (knee) will also return after the close season. Meanwhile, Ian Cathro admits he will look to achieve the consistency of selection that has been a major factor in St Johnstone's success as he develops his Hearts team. The likes of Anderson, Davidson, Mannus and Millar have been in their team throughout that period and Cathro, who signed nine players in January, wants to ensure there is the same continuity at Tynecastle. "It's important, very important, and it will certainly play a part in how we look to evolve the squad and develop the team," Cathro said. "They have been consistent because they have had consistency in who he plays for them, consistency in the way that they play, consistency in their whole environment. That's the word about them. And, also, really strong organisation. "They have found what works for them, they have found their way, they have found their attitude and they have found their consistency. "And congratulations to them for another season with a good finish and access to European competition." Prince Buaben will miss out through suspension following his red card against Rangers but midfielder Jamie Walker returns after serving a one-match ban. Full-backs Andraz Struna and Lennard Sowah will miss out again with muscle injuries along with long-term absentees John Souttar (Achilles) and Callum Paterson (knee).